This fast-paced documentary covers Banksy’s month of making a piece of public art every day in New York for the month of October 2013. It was kind of a NaBloPoMo / NaNoWriMo thing with street art; the film called it a residency. I watched it with my brother, and we kept pausing it to talk about who owns art, what is art, whose opinions about art matter, cultural appropriation, graffiti and vandalism and defacement, the concept of property, the concepts of public versus private, whether art has to have a meaning, and so forth. My brother and I occupy quite different places on the ideological map, so there were times when it was a relief to turn back to the TV with our mouths pressed thin, but at other times we both got really animated in our enthusiasm for the topic and managed to navigate our differences well. It’s a process, right? This entry was posted in Seeing Films and tagged activism, art, artist, Banksy, Barking Back, mural, pronouns, street art on 28/01/2016 by nissetje. Okay, so I saw this amazing film last night: Heart of a Dog by Laurie Anderson. I really don’t know much about film so I don’t even really know how to write a review of this but I was just stunned and moved and choked up and inspired and awed by this film. I kind of thought it would be more about dogs, but while I was wrong, I was not disappointed. Anderson’s rat terrier Lolabelle does feature prominently, but this isn’t a narrative film in which a linear story is told (not even in a mixed-time-sequence way). It’s more like… well, like a long poem, or a series of vignettes, or a song cycle. Anderson weaves in Lolabelle’s life and death, her relationship with her mother, her mother’s death, 9/11, the NSA data centre in Utah, dog training, a traumatic childhood accident, film clips from her childhood, her own fascinating poetry-narration, and really incredible imagery. This entry was posted in Everything, Seeing Films and tagged art, Barking Back, cinematheque, film, Laurie Anderson, making art on 10/01/2016 by nissetje. It’s hard for me to watch movies. Two hours is a long commitment to invest in something that I know in advance will likely irritate me. Also, I find it hard to sit still for that long. Also, by the time I am ready to watch TV in the evenings, it is usually less than two hours to my bedtime, and I hate stopping shows or movies in the middle. But I was feeling tired and cranky this weekend, so I cancelled most of my plans. On Saturday night, I stayed home with my animals (missing what I bet was a fabulous night of techno music at the Pyramid, but at least my ticket was only $10 so I wasn’t too regretsy) and decided to take a chance on a movie. This entry was posted in Everything, Seeing Films and tagged Barking Back, Bechdel Test, movie review, movies on 14/12/2015 by nissetje. It’s always hard for me to start watching a new show. I am easily irritated, and TV shows and movies seem to bring out my hostility in a way that only actual news stories can match. For example: I abhor a laugh track. If I start watching something and there’s a laugh track, I am very unlikely to keep watching. Because honestly, if you have to prompt me to laugh, you’re just not funny enough. This entry was posted in Everything, Mental Health, Seeing Films and tagged ads, cats, dogs, mental health, NaBloPoMo, Netflix, stereotypes, TV on 05/11/2015 by nissetje. CAUTION: There are so many spoilers in here I can’t even. But don’t worry, it’s not worth watching anyway. This entry was posted in Everything, Rants, Seeing Films and tagged AI, feminism, fiction, movie, NaBloPoMo, rant, scifi, stereotypes on 01/11/2015 by nissetje. Picture taken from the Cinematheque guide. 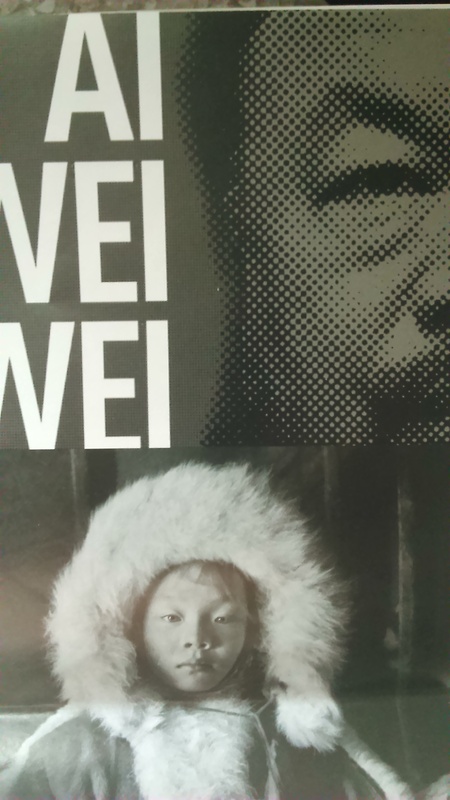 Ai Weiwei’s bravery makes me squirm. This entry was posted in Everything, Seeing Art, Seeing Films and tagged activism, ai weiwei, art, cinematheque, documentary, government, politics, Winnipeg on 08/06/2015 by nissetje.